How many times have we sat at the table and encouraged – or maybe even more forcibly – tried to get our kids to eat their greens? What a cheek! Given the fact that adults in the U.S and worldwide are falling far behind when it comes to eating a healthy amount of fruit and veg. daily. A new report issued by the U.S. Centers for Disease Control(CDC) reveals that more than two-thirds of adults eat fruit fewer than 2 times a day, and almost three-quarters eat vegetables fewer than 3 times daily. It is no surprise then that poor health is rife. The good news is that those with the will, some determination to lead a better life, and a little discipline, can turn their health around and not have to sit through sessions of self-imposed force feeding of greens and healthy fruit sources. 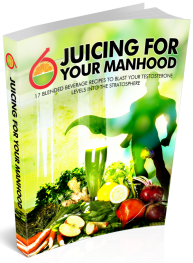 The easiest and most effective way to do this is through juicing. Raw juice can be likened to injecting yourself with a dose life enhancing micronutrients and other vitamins – that sadly most people are lacking in todays modern society. The juicing effect makes the vitamins, minerals and enzymes much more easily processed by the body. In fact, once the juice is drank the vital nutrients will be almost immediately absorbed into the bloodstream, giving the body a healthy boost of nutrients and energy. Here are a number of reasons why it is much easier and much more beneficial to juice rather than eat your fruit and vegetables in their solid form. 1. As mentioned above juicing is a way to break down vegetables and fruits to make it easier for the body to absorb. This is important as the bodily system of your average joe (or jane) in today’s society, due to years of abuse brought on by poor food choices, is NOT working as optimally as it should.The digestive organs are just not doing the job. They aren’t extracting the optimum amount of nutrients from our food. Coupled with the fact that fruit and veg. contains only a fraction of the nutrition that it used to – due to soil depletion – and it’s a wonder we’re getting any nutrition at all from our daily meals.Juicing will help deliver the vital nutrients the body needs rather than depositing them down the toilet as waste. 2. Juicing your greens is a much more efficient way of getting the recommended 5 a day fruit and veg. into your system. 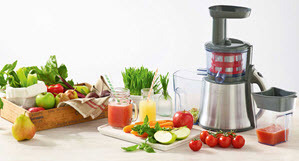 The main reason that the majority of us aren’t meeting this health target is that we just don’t like sitting down to large amounts of this foodstuff – even though it brings many health benefits.Juicing delivers vast quantities of nutritious foods in pint-sized containers – or smaller. For example, 5 or 6 average sized carrots and two Granny Smith apples will provide an 8 oz tumbler of juice – approximately. Don’t you agree that this is a much more efficient way of delivering the goods? 3. With juicing you are more likely to introduce new and wonderful varieties of vegetables into your diet. You will find yourself thinking more about the nutritional value of foods more so than the taste.The taste doesn’t matter as much because even if you don’t like how certain veggies interact with your palate you can always add lime or lemon juice to mask any ill tasting effects.So if you’re going to add a bunch of veggies to your mix you may as well change it up a little. Adding a great variety of vegetables to your meals is much less likely to happen when you’re consuming them whole. These are just 3 of the numerous reasons why it makes perfect sense to start juicing your fruit and veggies. There are many more which we will outline in future posts. CLICK HERE NOW FOR ALL THE DETAILS!